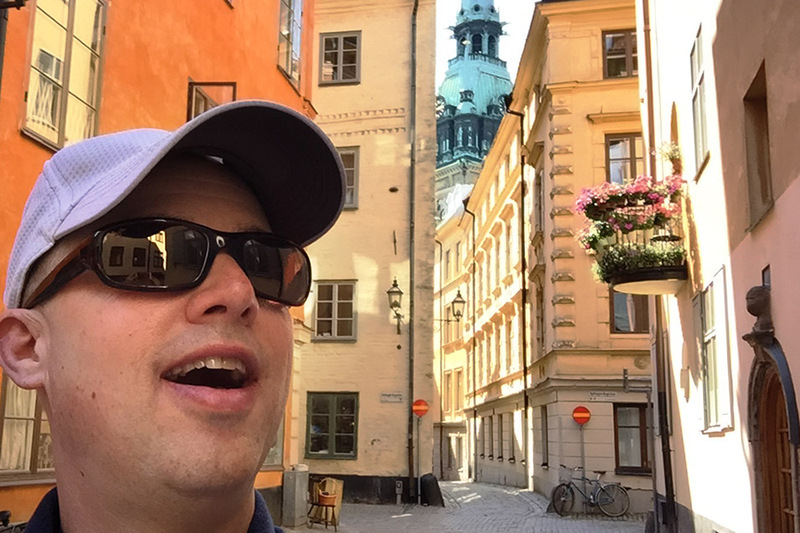 Stockholm, Sweden travel photos — Hey Brian? I Lyft over to OAK Oakland International Airport and check my bags. I board Norwegian Air Shuttle 7068, sit in seat 4J in the premium cabin and we take off at 4:55pm. We land at ARN Stockholm Arlanda Airport at 12:00 high noon. I board the Arlanda Express and exit at Central Station. 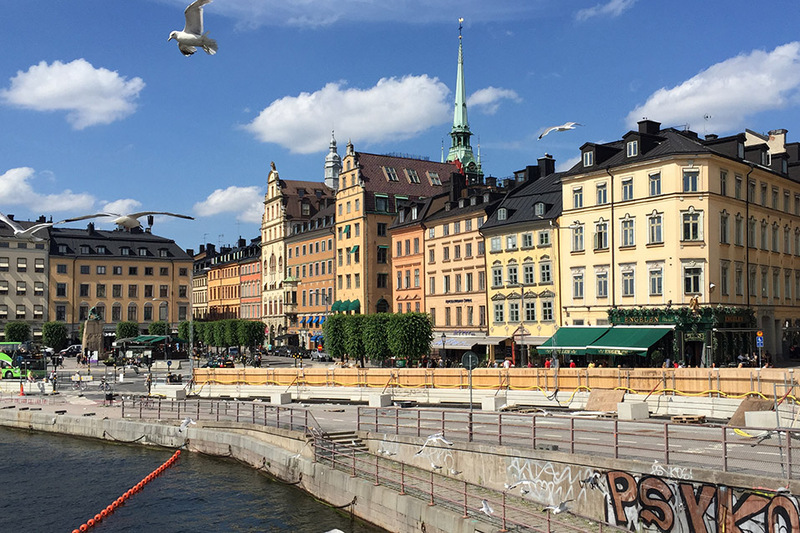 I transfer to the Stockholm Metro red line and exit two stops later at Slussen. I walk with my bags to Hilton Stockholm Slussen and check in. 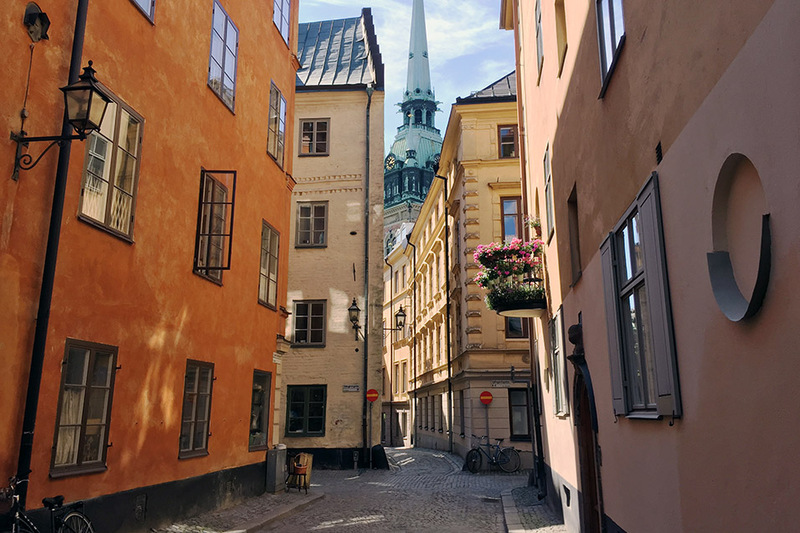 I change and walk to Gamla stan old town where I proceed to get lost. I have a tasty lunch at Stockholms Gästabud. I order three kinds of pickled herring, bread, cheese and egg. I walk to and have an Aperol spritz and enjoy the view on the terrace of Södra Teatern in the borough of Katarina-Sofia. I wake up at 3:00am and the sun is high in the sky. It seems like the middle of the day. Breakfast at the hotel with the highly annoying and rather aggressive coughing Brit. 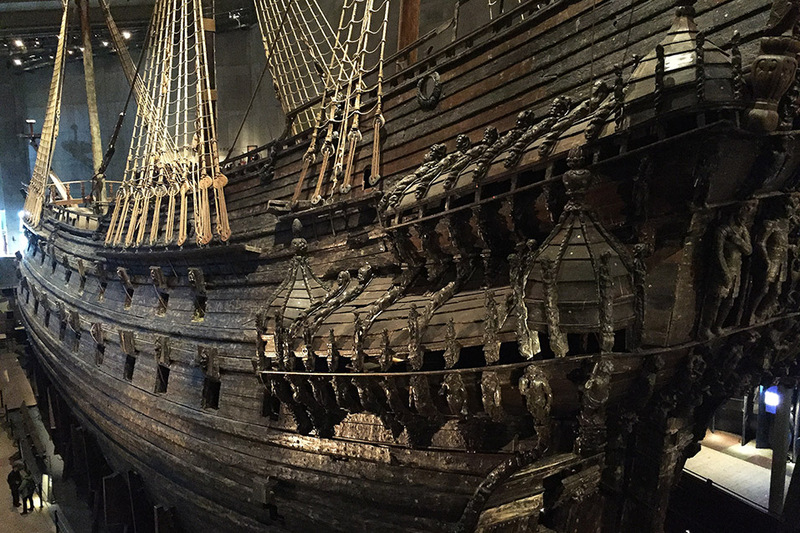 I rent a Stockholm City Bike and pedal over to Djurgården where I visit Vasa in the Vasamuseet and the large park on . 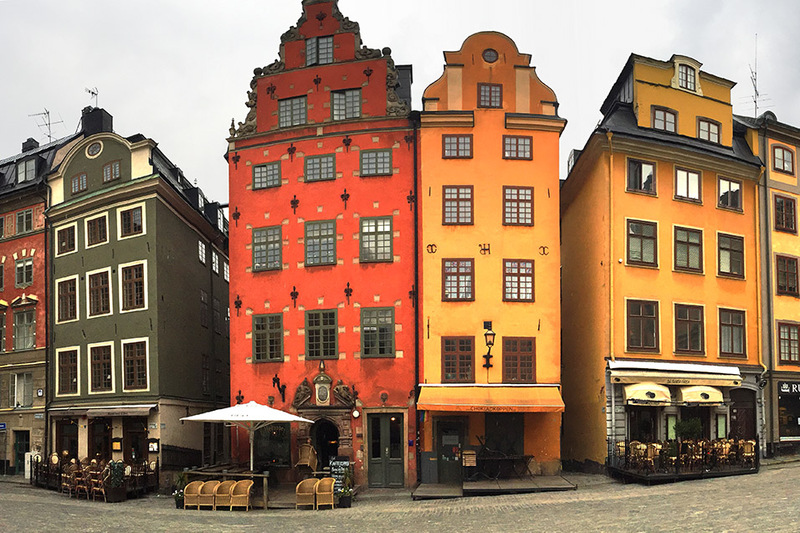 Visit the Fotografiska. Have buffet dinner at the vegetarian Hermans including salad, hummus, roasted vegetables, yellow curry, bread. Epic night ride. Wake early. Bike over to Östermalms Saluhall. Buy some cured herring. Visit the Royal Palace. Check out. Have meatballs at Nya Blå Dörren. I take the green line to Central Station and transfer to the ARN Arlanda Express for Stockholm Arlanda Airport. 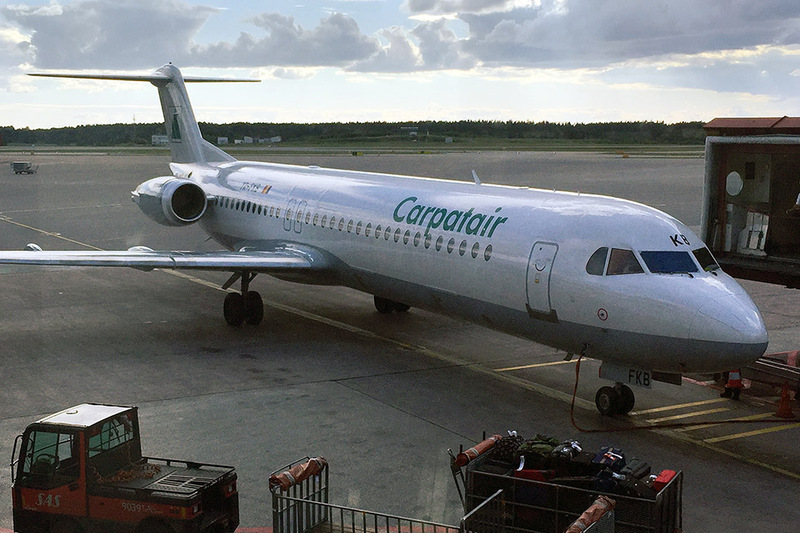 I board Carpatair 7126 and at 6:40pm.